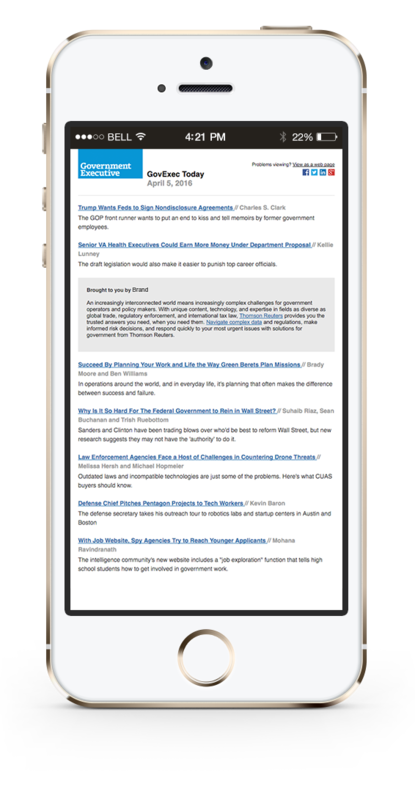 Get the best federal news and analysis delivered directly to your inbox. Also subscribe me to GovExec PM Update for an afternoon digest of must-read news, as it happens. Yes, I want to receive occasional updates from partners.